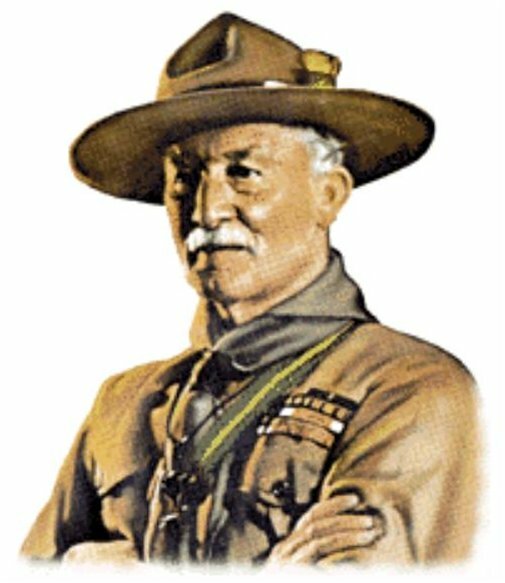 Before joining the army, becoming a hero and creating Scouting, Robert Stephenson Baden-Powell was just a good-humoured and friendly young man, who liked acting, games and life in the outdoors more than his studies. Resigned to his mischievous temperament, but recognising his talent on stage, a teacher called him an “admirable madman”. He felt fulfilled when he wrote of his adventures and his dreams: from his exploits with his brothers to the development of the Scout Method, without forgetting his tales of hunting, his military experiences, his adventures as an improvised secret agent, or his vision of the army. An able exponent of caricature and watercolour painting, B-P illustrated his own articles and books. B-P played football, and enjoyed swimming, rowing, polo, boar hunting and … like a good Englishman, cricket! But, above all, his passion was for outdoor activities. A singer and pianist who loved to amuse his companions, the young Baden-Powell dreamed of being an actor. In 1899, stretching his talents and astuteness to the full, Colonel Baden-Powell saved the South African village of Mafeking, after 217 days under siege by the Boers. He had only 1,000 men against 6,000. One of his side’s strengths which made all the difference were the youngsters trained as sentinels and runners. On his return, the English acclaimed him as a hero and the Queen made him a General. A secret agent in Europe, the Mediterranean and the East, B-P successfully navigated many risky situations. His talent for disguise, artistic genius and exploration and trail-finding abilities stood him in good stead. While in the army during the colonial period, B-P got to know the landscapes and the people of India and Africa. He discovered their cultures, learned about their customs, sketched their personalities and never stopped learning about them. From these peoples he loved, he retained many symbols and elements which he would later make part of the Scouting culture. In India, B-P proposed a course for soldiers based on exploration. In Africa, he trained the Mafeking cadets and the South African police. In both cases he made use of games, teamwork and trust. He became an innovator, creating systems based on personal initiative. – What to do with young people? Released from his missions, Baden-Powell set up home in England. He looked at the pressing problems of a British society weakened by unemployment and decided to devote himself to the service of young people. Taking advantage of his fame, he spoke directly to them by means of the newspapers sold in stalls throughout England. In July 1907, B-P gathered about 20 youngsters from different social backgrounds on the island of Brownsea. The participants built refuges, learned the skills of life in the outdoors, shared their experiences and helped the local inhabitants. The enthusiasm generated was impressive. Scouting was born. When he published “Scouting for Boys” in 1908, he never imagined that he had just written the work which was to change the lives of millions of young people the world over. Drawing on his personal experiences, he invited youngsters to take charge of their own lives and be responsible for their destiny. More than a man of his time, he was a man of the future. A year from the publication of the book, there were 50,000 Scouts in England. The Movement’s fame crossed the oceans and in May 1909 Scouting was founded in Chile, a country which Baden-Powell had visited two months previously. From that moment on, Scouting was international. In 1910, B-P left the army to devote himself to the growth and development of Scouting. After the war, Baden-Powell assigned a new mission to Scouting: to strive for and maintain peace. From that moment the Founder visited other countries continuously, encouraging National Scout Organisations to educate for peace and understanding between peoples. After the publication of Scouting for Boys in 1908, Scout Patrols sprang up in many countries and on all five continents. Encouraged about Scouting’s future, B-P created an “international department” in the the Scout Association’s National Office in London.